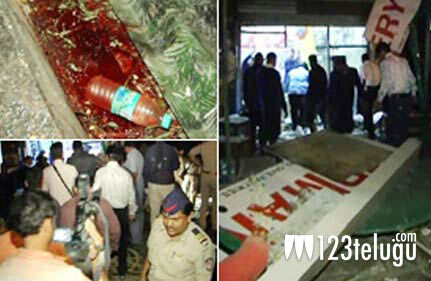 The city of Hyderabad has been placed on high alert after four low intensity bombs exploded in the city of Pune in a coordinated fashion. A fifth bomb has been defused outside a Mc Donald’s outlet. Hyderabad Police Commissioner Anurag Sharma said that officials are conducting extensive checks in sensitive areas as a precautionary measure. The preliminary reports indicate that 1 person has been injured in the Pune blasts and he is being treated as a suspect at the moment.